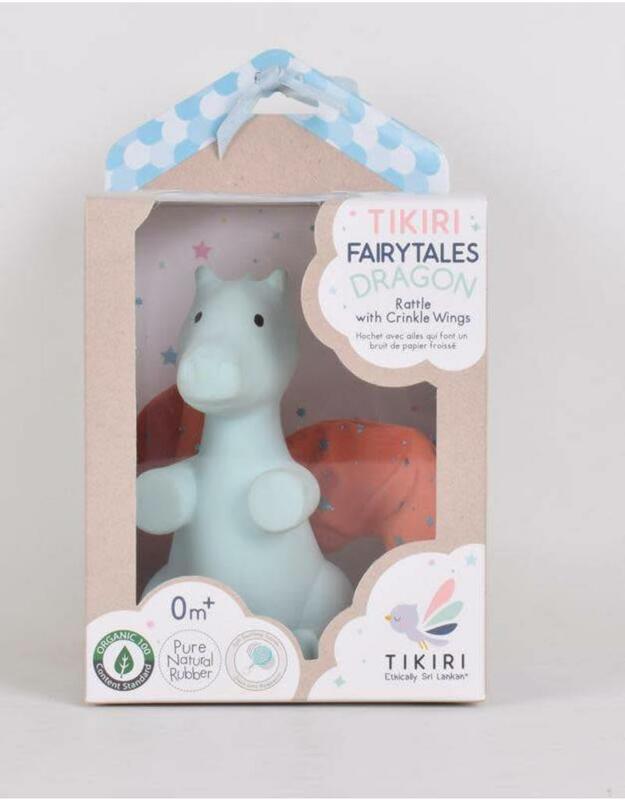 Hard for teething and soft for loving, the Fairytale Dragon is a friendly, comforting toy made with 100% natural, sustainable, organic rubber. Its facial details are hand-painted with plant-based nontoxic dyes. The crinkly sound from the tail also provides developmental benefits. This combination of natural rubber and organic fabric with a rattle makes it an ideal toy for stimulating the senses of touch, sound, smell, taste, and sight.